Hasbro passed out some information on their upcoming 2016 plans for Hasbro Studios. Mixed in with one of the slides is something very... interesting. 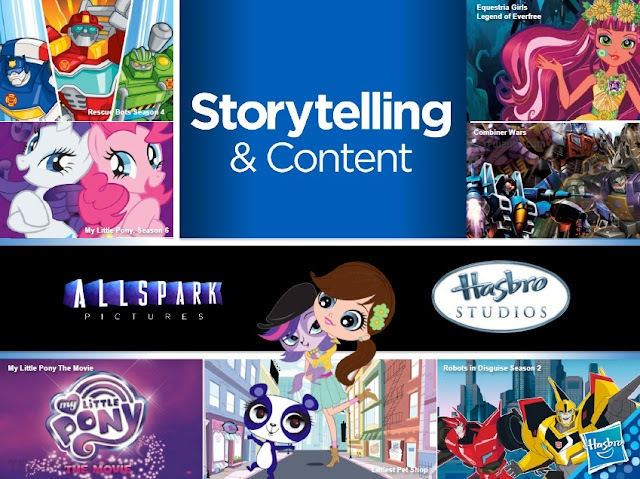 The top right clip on the image above shows what may be either another movie, or a new series all together for Equestria Girls. I'm sure we will find out more soon. And in other news, the slide includes a bit of Season 6, which may or may not confirm it's 2016 release and a hopefully much shorter hiatus. Thanks to James, Revved and Silver Knight from TFW for the heads up. Another Humongous Celestia Plushie Has Appeared! Equestrian Odysseys - Card Spoilers Roundup!